I only had my iPhone with me, so these aren't the greatest photos. This guy was in the West 4th Street subway. 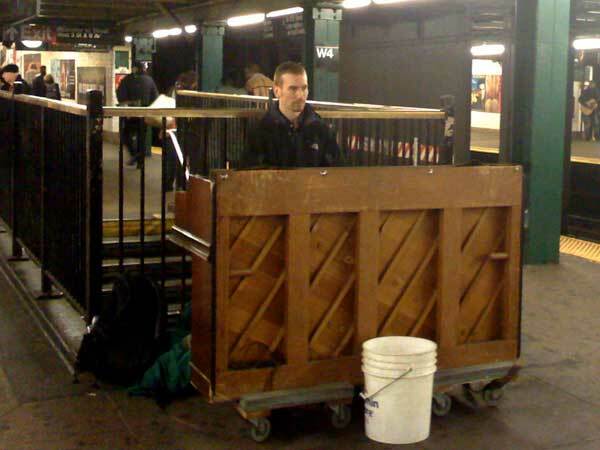 The top was removed to give more volume, and it sounded like a honky-tonk piano, but his playing was quite good, ranging from "Hey Jude" to Chopin. 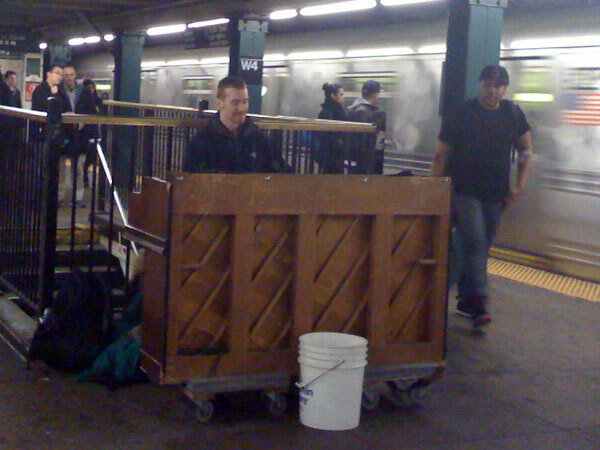 No one else was with him so I don't know if he managed to get the piano down there via the station elevator by himself. 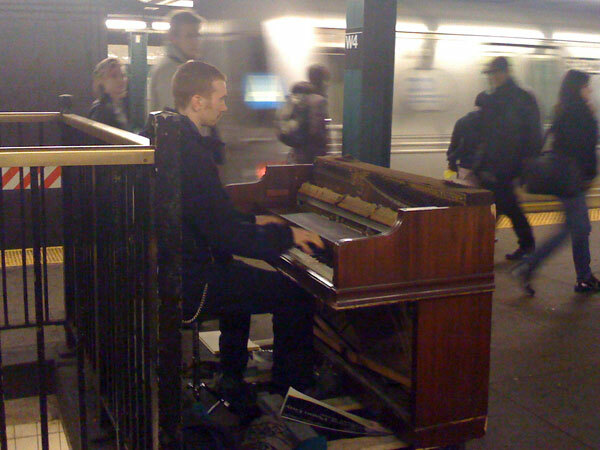 Having just been to a great concert of experimental music, this was a nice subway surprise. Update: Olympia Lambert already posted about him in early February. He is Colin Huggins (aka The Crazy Piano Guy). He is also the music director of the Joffrey Ballet! Published on February 27, 2009 9:58 PM.